Edinburgh City – Antell, Walker, Laird, Thomson [b63][so 90], Beattie [Belmokhtar 80], Hall, Rodger, Blake [Smith 75], Tena [b77], Morrison and Allan [Grimes 65]. Subs not used – Caddow, Harrison, Malin and Morton. Stenhousemuir – Smith, Meechan, M.Dunlop, R.Dunlop, Paterson [b69], Ferry, McGuigan, Paton [b12], McMenamin [b90], Longworth [Ferns 84] and Donaldson. Subs not used – Gilmour, Marsh, Allan, Murray and McMinn. Our first ever game at Ainslie Park was on Friday the 13th but there was no scare for the Warriors in this match. This was the second meeting in a row between Stenhousemuir and Edinburgh City having met in the league at Ochilview a couple of weeks earlier. For the Warriors there was a sense of stability as they made only one change to the starting eleven whilst the same could not be said for the Citizens as they had a change of manager and assistant in between after Gary Jardine had resigned after the previous most meeting. In the hot seat for his first game was James McDonaugh who had been assistant at Falkirk and Craig Beattie stepped up from just a player to player –assistant manager. The home side started off well passing the ball well but lacked the cutting edge to their play and were unable to trouble Chris Smith in the Stenhousemuir goal. Jamie Longworth headed wide in the 16th minute for the visitors. Shortly afterwards City took advantage of the wind to pick out Craig Beattie with a long pass but his attempt at goal was partly blocked by Ross Dunlop who took the sting off the ball and Smith was able to collect. There wasn’t much action in the first half though Smith had to be alert to intercept another long ball as Lewis Allan was about to collect. Longworth linked up with Mark McGuigan a minute later in one of the better moves of the half but the final pass was finally intercepted. The closest that either side came to opening their account was in the 43rd minute when Nicki Paterson latched onto a loose ball and forced a save from Calum Antell. 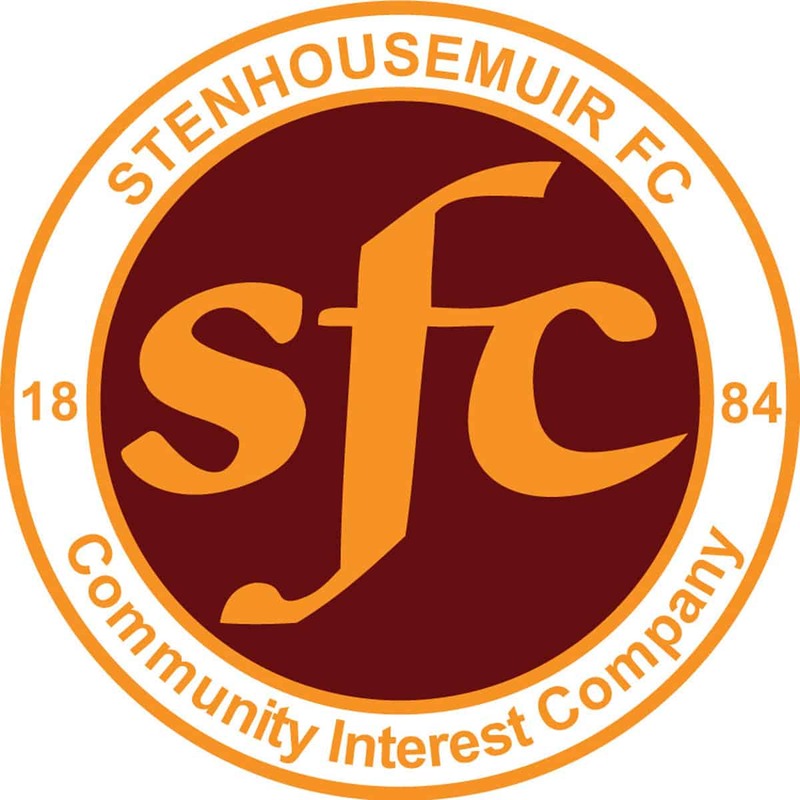 It was a different story in the second half as Stenhousemuir took the lead four minutes after the resumption when Longworth headed a Paterson free kick into the far corner of the net with a deft header. City responded with a Gareth Rodger header that went just wide but that was a rare chance for the home side. McGuigan was the next to test Antell with a fine run and shot in the 53rd minute and the keeper was to keep the Citizens in the game with a superb double save in the 67th minute when he first of all denied Colin McMenamin who headed a Ruaridh Donaldson cross goalwards and then denied McGuigan who lashed the rebound towards goal. Whilst the Warriors were only a goal ahead there was always a danger that they might be could caught out. Jamie Longworth had a chance to put the game beyond doubt in the 79th minute when he picked up a poor defensive kick out and he had time to pick his spot but perhaps had too much time and dragged his shot wide. McGuigan then brought out another top class save from Antell with five minutes left. In stoppage time the home side were reduced to ten men after Craig Thomson was booked for the second time after his frustration boiled over and he said something to the officials. After this the Warriors were able to run down the clock comfortably for a deserved win for another professional performance and were rewarded for this win with a home tie against Alloa Athletic in the next round.